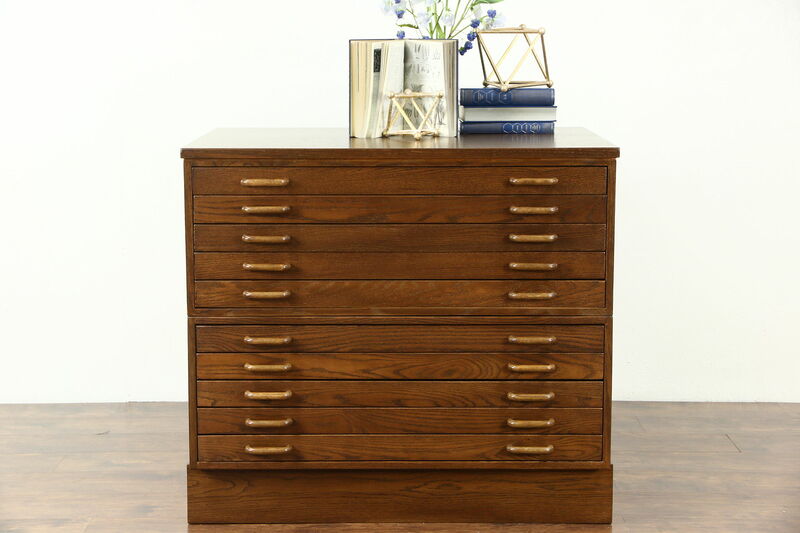 A stacking 10 drawer map chest, document or drawing file cabinet is oak with original pulls from the 1960's. American made, this vintage Midcentury Modern office or library furniture has a restored finish in excellent condition. Carved oak pulls are original. There are two stacking sections for easier moving. Drawers have a finger hole to keep from fraying drawings, interior size is 36" wide, 25" deep and 2" tall. Overall size is 40" wide, 28" deep and 36" high.